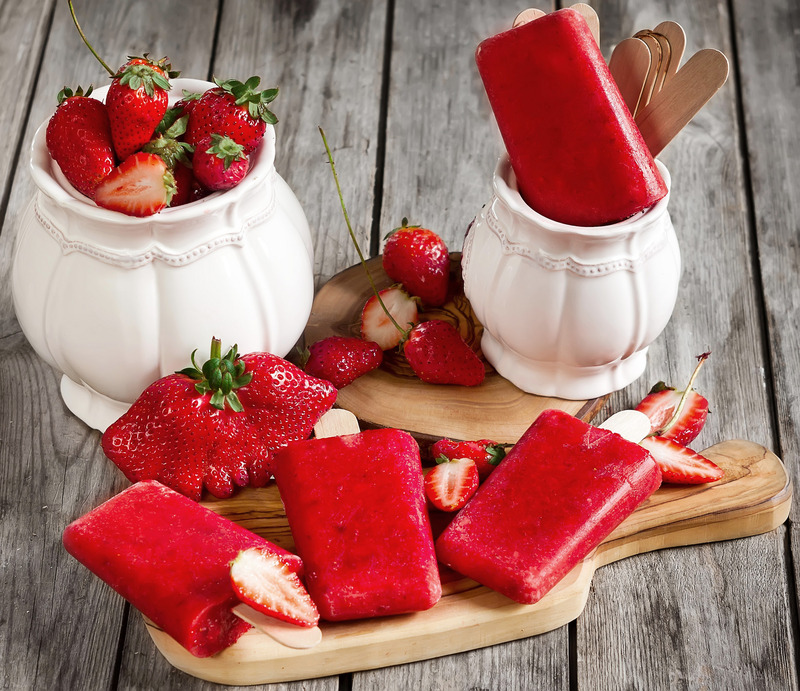 If you use fresh strawberries,you must freeze them in the freezer for at least 2 hours or completely frozen. Next is to put all of the ingredients into your high-speed blender or food processor . Blend everything together very well until the mixture is homogenized. After that,pour the mixture into you ice popsicle molds or plastic cups and insert pop sticks in it. Place the popsicles in the freezer and freeze them until they are completely frozen. Remove from the fridge and serve them immediately. 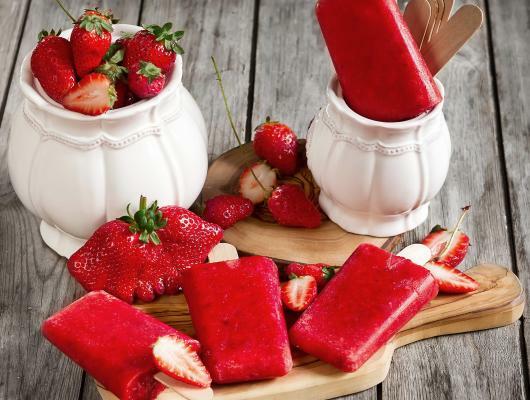 These sweet and tasty fruit popsicles are the best and healthy dessert for everyone.Especially for the small kids.They love them.They are made really easy and simple.One of the simplest recipe exactly.You will see how to make them with just 4 four ingredients.Anyone can make them.